HERE'S A SNEAK PEEK AT OUR TWO NEW PRODUCTS! COME SEE US AT THE CENTRE FALL FESTIVAL SATURDAY! We will be located at the left front corner of the Cherokee County Museum, next to the courthouse. The Fall Festival runs from 7AM-1PM. 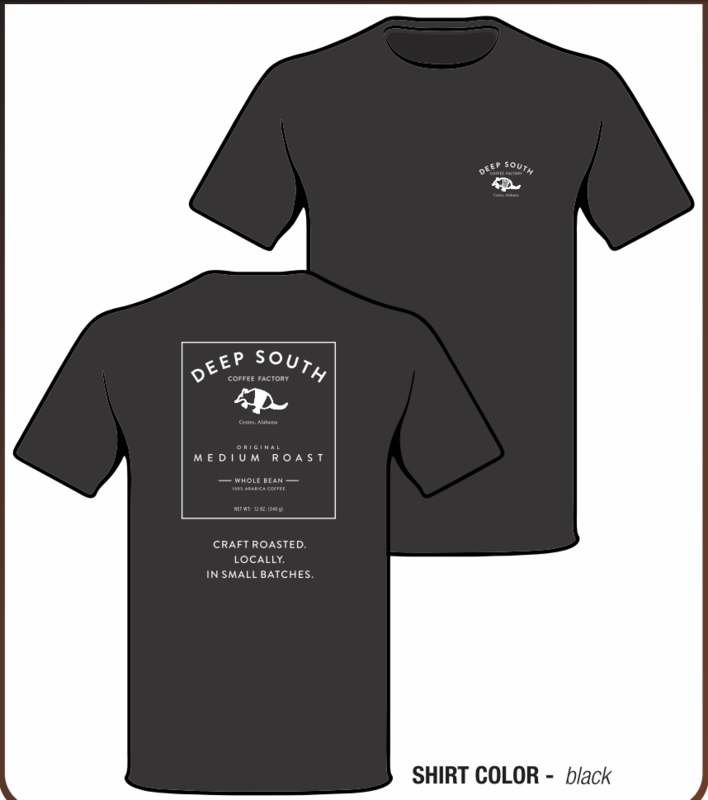 --> DEEP SOUTH T-SHIRT. 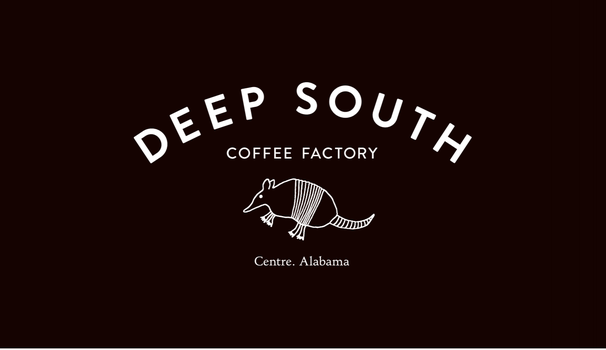 Sport your love for fresh local coffee (or perhaps armadillos?). T-shirts are only $12 (S-XL) or $14 (2XL) this Saturday. The price in our online store will be $15/$17. --> 2 oz. SAMPLE / GIFT POUCHES. Pictured below is the front and back of our gift pouches compared with our normal size coffee bags. 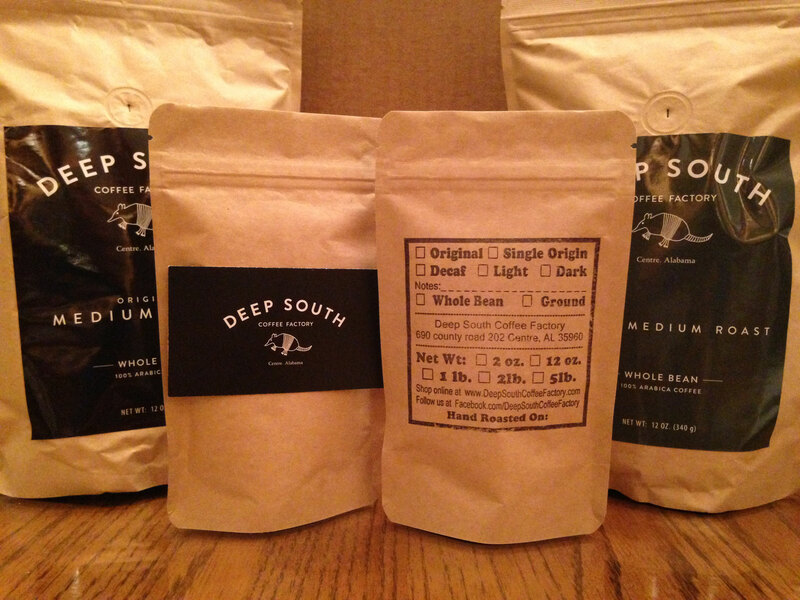 These are a unique idea for party favors, gift basket additions, small gifts for your co-workers/teachers/ clients, or simply just to sample DSCF coffee. They will be available year-round online (Christmas stocking-stuffers, anyone?). We can also take special orders for weddings or other events where we leave one side unlabeled so that you can customize them yourself (for example: "Tom & Suzy~ the Perfect Blend!"). One/$3 or Four/$10.